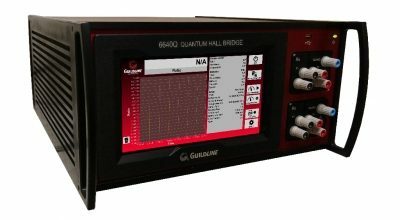 The all new Guildline 7720 3-phase power analyser is a bench mounted AC power measurement standard designed for the most demanding measurement applications today. Unique features with patent pending algorithmic techniques along with multiple high speed A/D signal converters provide asynchronous sampling with very low uncertainties, previously associated with very high cost analysers. The 7220 can measure voltage and current simultaneously to accuracies up to 25ppm for a 10 second aggregation, up to 100ppm for a single waveform. 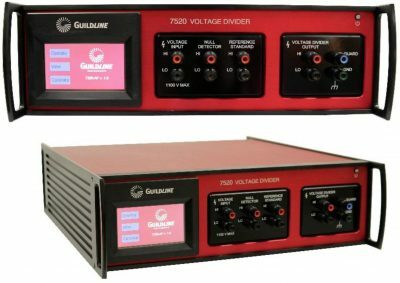 3-phase power analyser, the all new Guildline 7720, is a bench mounted AC power measurement standard designed for the most demanding measurement applications today. 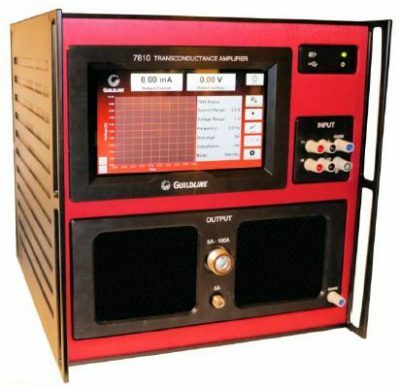 Unique features with patent pending algorithmic techniques along with multiple high speed A/D signal converters provide asynchronous sampling with very low uncertainties, previously associated with very high cost analysers. The 7220 can measure voltage and current simultaneously to accuracies up to 25ppm for a 10 second aggregation, up to 100ppm for a single waveform.